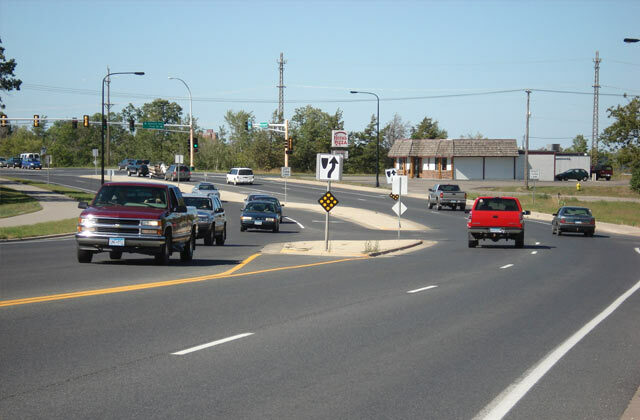 This project on Highway 197 enhanced mobility, improved safety, provided safe pedestrian movements, and improved sidewalks on 6 miles of roadway around Bemidji, MN. Alliant assessed traffic safety, completed an access control study and identified deficiencies along the corridor. With that information, we developed multiple concepts that addressed the project goals and they were evaluated through a public advisory committee and study review engagement process. The final product provided MnDOT and the City of Bemidji with recommendations, corridor management strategies and an implementation plan for improvements within the corridor.